Bottom line, I love endurance too much to not support the various wonderful aspects of it. 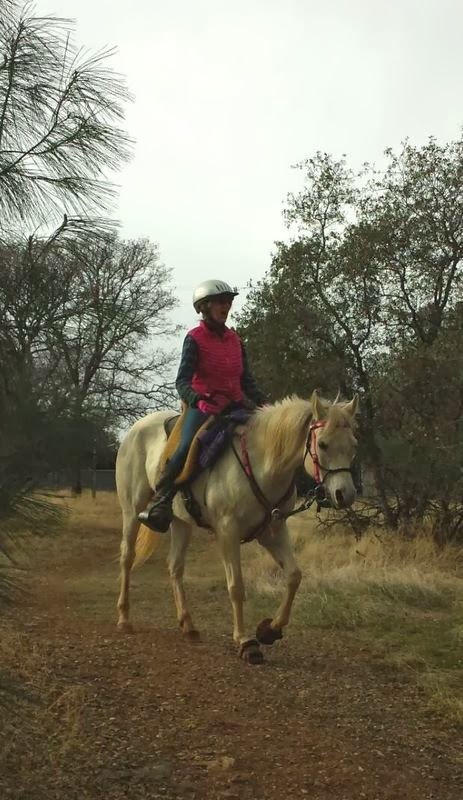 I am forever amazed that anyone could discount anyone’s effort in getting themselves and their horse to and giving their best shot at an AERC ride, whether it’s 25 miles or 100. 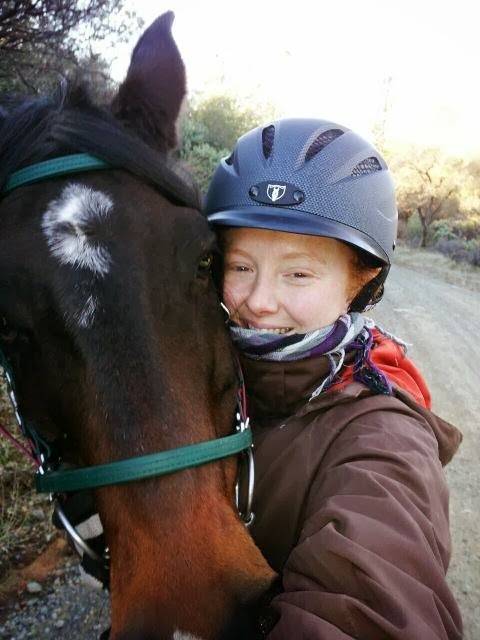 I started AERC as a sponsored junior riding LDs 12 years ago and the value of those shorter rides as a mental training tool for the horse and mental (and perhaps physical) training tool for the rider was driven home for me. There are myriad reasons why riders choose to keep themselves and/or their horses in LDs, and those should be acknowledged and respected just as avidly as we cheer on those who jump to ever farther distances. Personally I love multi-day 50s and am aiming for my first 75 and 100 miler this year with my coming 9 yr old Rushcreek. In the last paddock on the right here in my stable yard, however, resides a beloved little bay who stands 14 hands high on his four hooves but a million miles tall in my heart. Blaze was advertised as a 14.3 hand Arabian, 12-14 years old. He is in fact a 14 hand Arabian(x?) and I’ve had him since 2009 so that makes him now 17-19, let’s say 18! No papers, past mostly unknown, and who cares! He is the greatest. I have failed miserably on him (read that story here! ), Top 10’d on him, sorted cows, trotted gymkhanas, given many a “First time on a Horse” ride, and just generally enjoyed the hell out of life with this little bay guy over the years. He’s a picky eater and is an okay drinker at the best of times. He has an old injury, a 1″ “knob” on the inside of his left hind fetlock that causes him to interfere with any hoof protection no matter how I change his angles, so he goes totally barefoot in the hind, even in LDs, and has never had an issue. He looks “fancy” when he moves which translates to kidney-failure-inducing loftiness–I simply am not exaggerating when I say that 30 miles on him exhausts me physically more than multiday 50s on my mare. He tends to get mentally attached to others and get a bit silly to get it done, but at this point that is easily managed into a happy mid pack LD finish. His slow trot is 8.5 mph, he has a huge stride and a totally game canter and looking out from between his eagerly pricked little ears you can feel him yearning to stride ever faster and see what’s around that next corner. So COULD Blaze complete 50 milers? No doubt. But the intense management it would require to keep him hydrated and going for 25 more miles as a stressy/picky eater, along with the risk to his bare hind hooves, and the look he gives me after 30 miles finished with a solid vet card and CRIs, which still always suggests Contented Doneness–make me sure that he quite enjoys his late teens career as all around awesome and occasional LD horse. You know how if you listen just right, your horses tell you things? Every time I sign up for an LD I battle that inner voice saying that the time/money isn’t worth it for that short a ride. But a few times a year I end up marking that LD box and writing down Blaze’s name anyway, because it IS worth the effort and money, for love of the sport, and for my beloved boy getting out and doing what he so clearly enjoys. Neither of us want him to go 50 miles but that doesn’t make his enjoyment or contribution any less than my 50 miler gelding. I’ve got 4 LDs mapped out for Blaze and I this year to tip me over to that 500 mile patch, and that should put Blaze at about 300 LD miles. 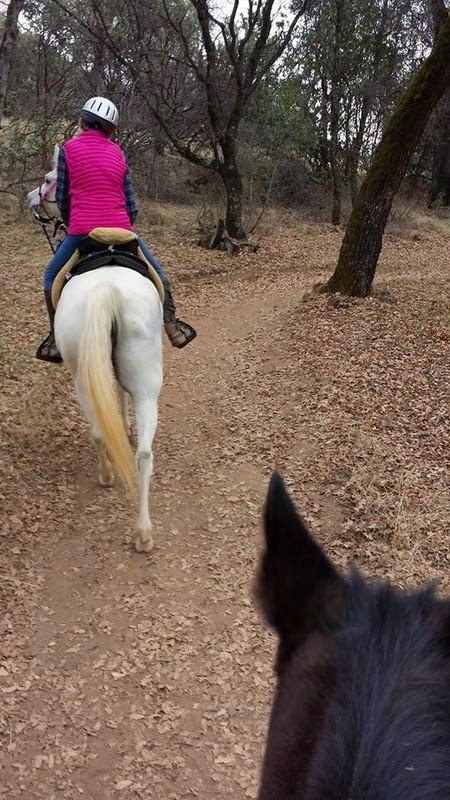 Regardless of the numbers, we’re sure to keep having fun, and I encourage others to not only do the same but be supportive of all horses and riders out on the trail–who knows what they have overcome to get there and good for them for even saddling up! Now that I’m off my soapbox, here’s the pics from riding with Blaze and N and Willow yesterday. Willow was in rare form wandering off the trail in search of who knows what! Mares, haha! I discovered that I favor Blaze’s right diagonal posting the trot too but also that he is nowhere near as one sided and hard to ride in the left diagonal as Scrappy was. Interesting! Look N I made Willow look like stout pony in a picture, bahaha! Hope to see lots of you on the AERC trails in 2014! Dream big, whether that’s 30 miles or 100, and be proud of everything you and your equine achieve. After all, only you and your horse truly know how far you have come. 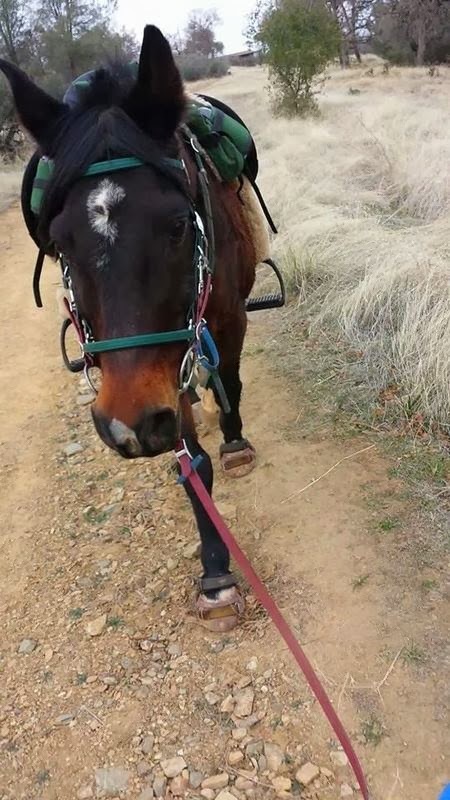 Blaze is the most adorable gelding in the world. He's just so happy and cute! And I agree with you about LDs. Getting outside, getting your horse fitted up, etc – it's all good, whether you have the desire or ability to go further or not! hear, hear! Agree! I don't care if you think 25 miles is endurance, or 50, or 100, whatever works for you you (hell, some days 5 miles feels like endurance!). Just good job getting out, being with your horse, actually riding. And Blaze is adorable and awesome, and sounds like he still loves the job you give him. Doing right by the pony: best thing ever. Thank you for writing this. I am an LD rider (with an occasional 50 thrown in). It's the perfect distance for me and my mares. We are both happy and generally healthy at the end. We can pick how fast or slow we want to go and still enjoy the trail and the socializing. 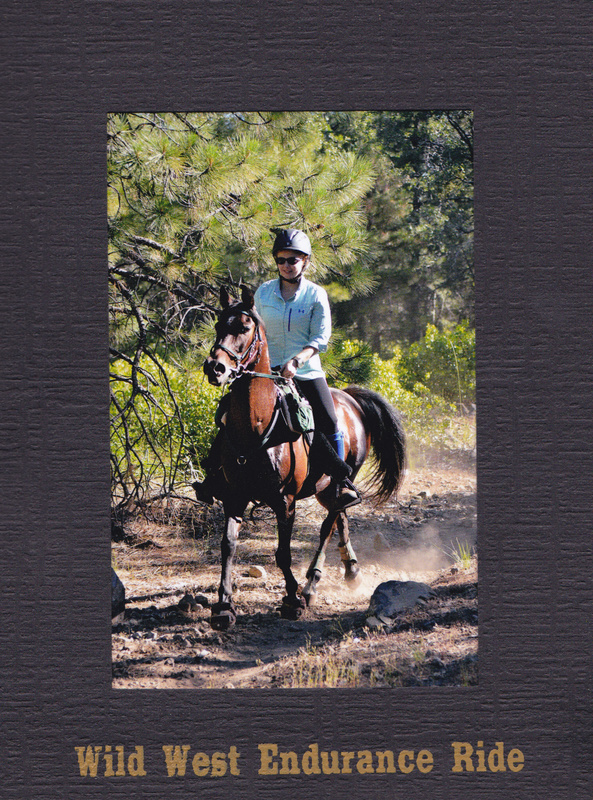 Beautiful story and insight into yours and Blaze's life in endurance. I've done a couple of LD's and I think they're a blast. Perfect for legging up a young horse, or to keep an older equine competitor content and happy going down the trails. No matter what the distance is it's about that quality time spend in the saddle with your trail buddy conquering those trails and goals that you have set for yourself . Bravo to you n the Mighty Blaze ! Blaze is so darn cute! My girl is a 13.1 hand Icelandic Horse and 2013, was out first distance year. We did CRT's. Rothadis did an amazing job! We place top 10 for MnDra and 11th for UMECRA. We were 2nd place Rookie of the Year for both. 2014, we will try LDs…for many reasons. Most of all, I think LDs will be more “fair” for her. Being an Ice Horse, she has a hard time with heat and humidity. Her P&Rs will never be what the Arabs are. In LDs, I will be able to use water on her in the vet check area to help get her P&Rs down. 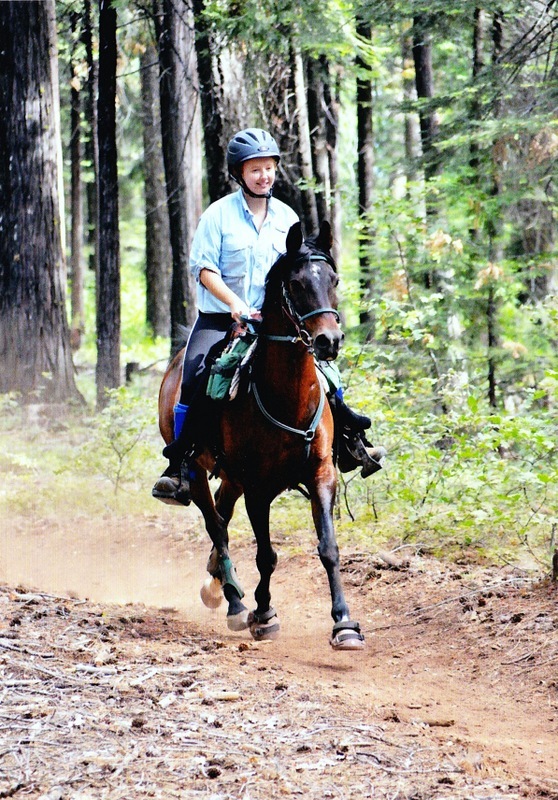 Rothadis loves eating up the trail, but she will never be a 50 mile horse. I found her limit is about 30 miles. Maybe 35 is the weather is cold. That's okay…she great at what she does. Rothadis is a Rock Star!